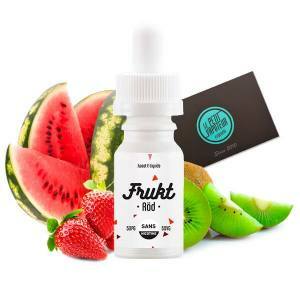 Discover the new range of E Liquid for the Electronic Cigarette, Frukt by Savourea. 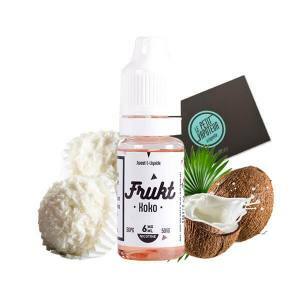 Frukt proposes e liquids with fruity recipes, surprisingly guaranting a different change of scenery, complete and gourmet. Return to festvie warmth. 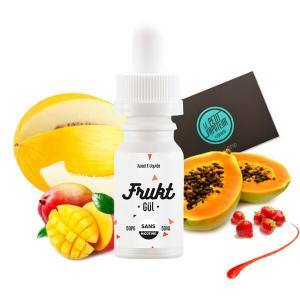 The E liquids Frukt are prepared 50/50% in PG/VG, adapted for all Electronic Cigarettes in a 10ml Bottle with 4 Rates of Nicotine. 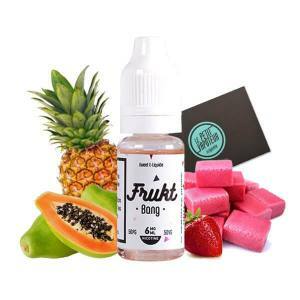 Discover the Gang, with its mix of White Grapes and Blackcurrant. 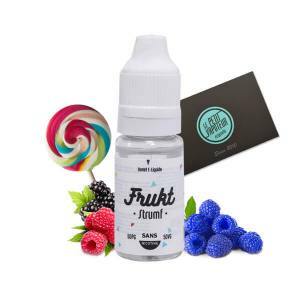 The Bla, a refreshing cocktail or the surprising Vinbär, a pulp fig with Red Berries... and many others that will surprise you. 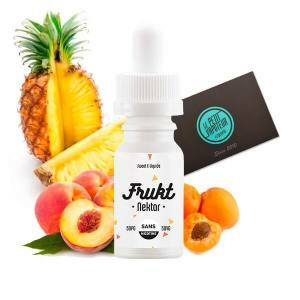 A composed medley of fruits: Yellow and White Melon, Papaya, Mango and Strawberry Coulis.